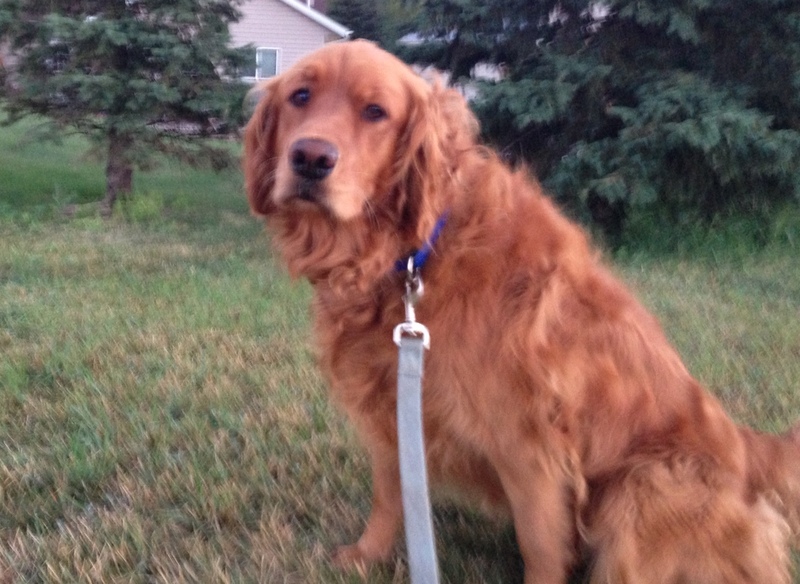 Meet Daisy, a Golden Retriever from Lakeville, MN. I am taking care of Daisy this weekend while her parents are out of town. I am also taking care of her two siblings Tiger and Lily. Tiger is a tabby cat and Lily is a calico cat. Both cats are beautiful and sweet. Daisy goes on three walks a day. I come to her house three times a day to feed her, walk her and play with her. I also make sure that Tiger and Lily are happy and well fed and clean their potty box every time I come. Daisy is a very good walker! I check on her first thing in the morning, mid-afternoon and early evening. Every time I see her, her tail is wagging; she is smiling and she is as happy as can be. She loves her treats too! I think Daisy is an early bird. As we were walking this morning, the birds were chirping and there was a coolness in the air. Daisy did lots of sniffing and checking out of plants and nature. She seemed in her element when she is walking. I am so happy I got to take care of such a wonderful dog and 2 great kitties. Welcome Graeme and Lilith! I recently had the pleasure of taking care of 2 wonderful new kitties; Graeme, an orange tabby cat and Lilith, a darling white and orange cat. Both were very friendly and outgoing and had energy to spare! They both greeted me at the front door each visit and proceeded to follow me around. I did manage to capture them both in a state of rest and relaxation, after much romping around, playing and eating their dinner. They were really nice cats who definitely made me smile! 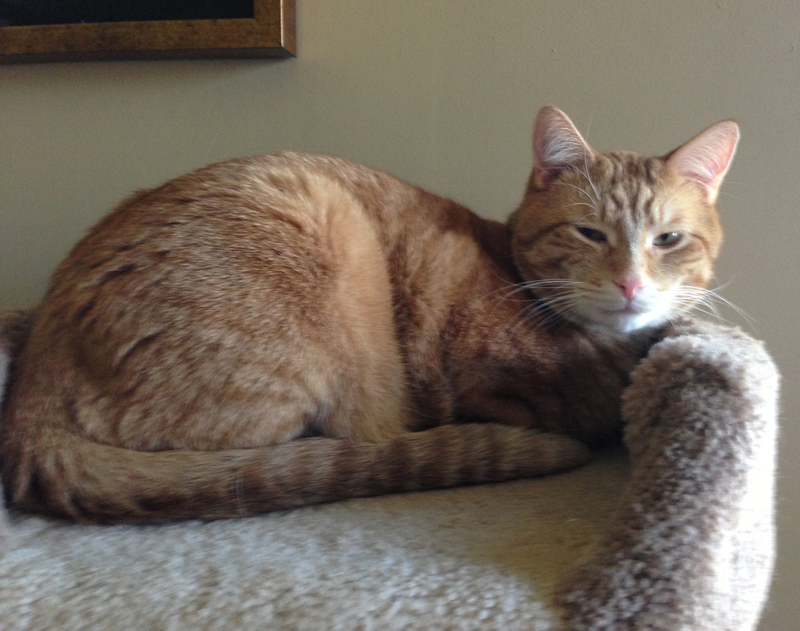 Graeme, Tabby Cat, Relaxing in his Kitty Tower. 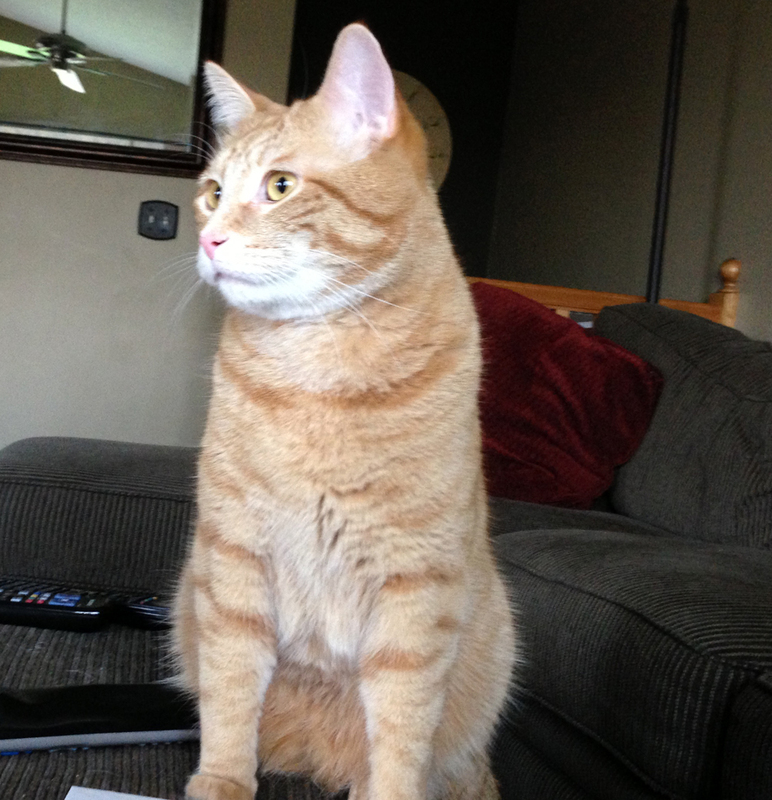 Graeme, the cat, sitting pretty. 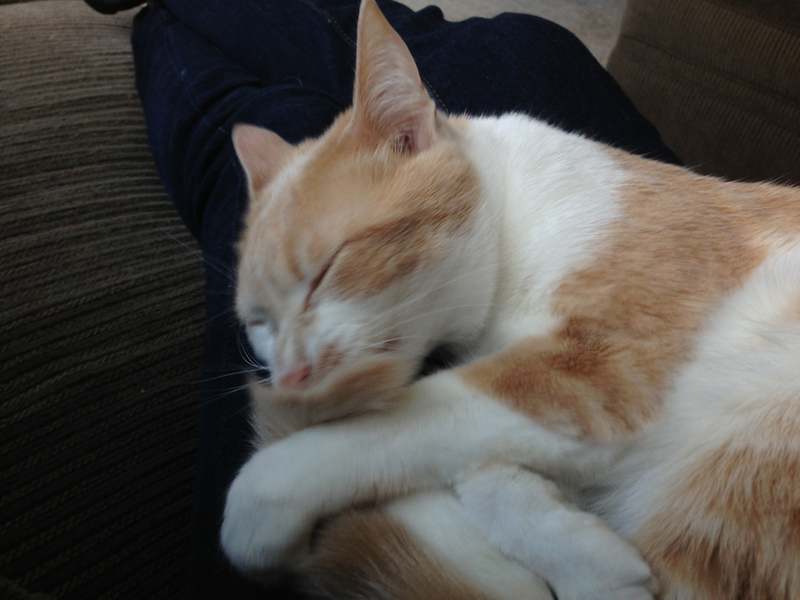 Lilith, the kitty, contentedly licking her tail. 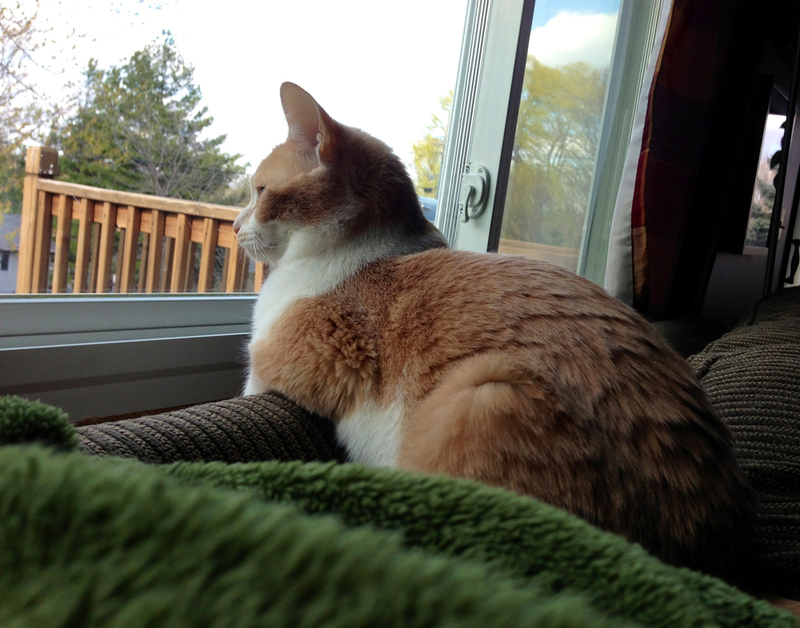 Lilith, pretty kitty, watching the birds out the window.